SBM - IRFI SPA, Iron and steel industry and foundries - machinery and installations, Waste treatment and recycling - machines and installations, Furnaces, ovens and kilns, electric, on EUROPAGES. 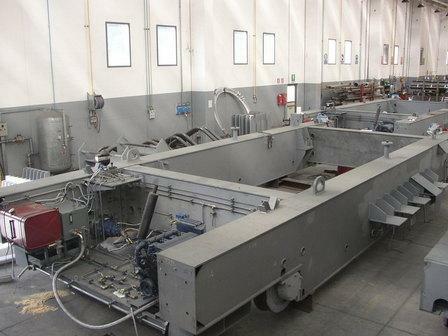 SBM-IRFI SPA designs, supplies, assembles and dismantles equipment both in Italy and abroad in the following fields: siderurgy, petrochemicals/oil & gas, waste water treatment, chemical facilities, settling tanks, thickeners, anaerobic digesters, heat exchangers, gasometers, bridges for primary tanks, clarifiers, aerators, Archimedes screw, energy production and distribution facilities, gas and oil pipelines, smoke and dust removal equipment, pneumatic dust transport, urban solid waste and / or industrial waste recycling facilities, incinerators, pressure pipes. 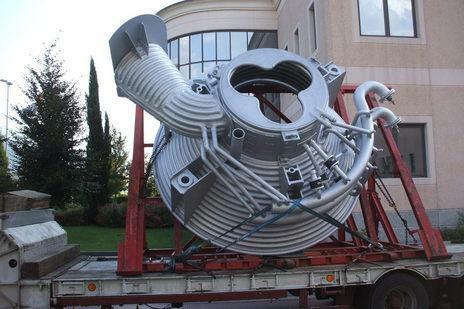 SBM-IRFI SPA builds all types of pressure vessels to PED ASME VIII div. I and II, PED and GOST standards. We also provide the following services: machining, UNI EN ISO 3834-2: 2006 standard certified compliant welding, calendering, painting, shot blasting and all types of medium weight and special framework.